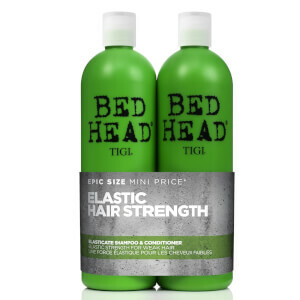 Ideal for dull and dry hair, the TIGI Bed Head Urban Re-Energize Tween Duo (2 Products), worth £42.45, helps to boost your hair's natural shine and makes your hair easier to manage and style. The shampoo and conditioner work together to nourish and condition your hair, leaving it soft and smooth. 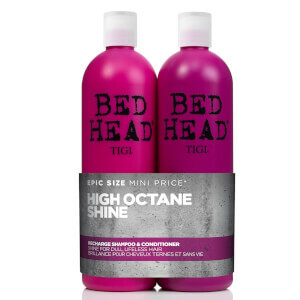 TIGI Bed Head Urban Re-Energize Shampoo 750ml: This balancing and clarifying shampoo gently removes the daily build up of dirt, oil and impurities from your hair and scalp, maintaining and regulating your hair's natural moisture balance. Lifeless locks will be given a boost of nutrients to leave your hair looking full of health and vitality. 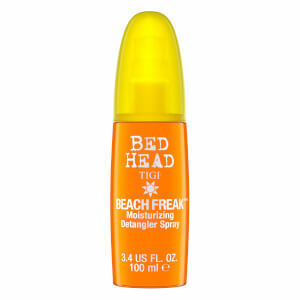 TIGI Bed Head Urban Re-Energize Conditioner 750ml: Intensely nourishing, this conditioner is infused with turbo hydration molecules which improve your hair's softness and shine, leaving it silky, smooth and manageable.